On occasion, we are reminded that politics can be cool--take, for example, MTV's Rock the Vote campaign. But these days, cool is about more than the youth vote--it's about technology. At this year's South by Southwest (SXSW) conference, Al Gore and Sean Parker took to the stage to discuss how the internet is at long last having a quantifiable impact on the political process. Parker even referred to this year's web-driven mass protests of the controversial SOPA and PIPA internet piracy acts as the "Nerd Spring." "Politics has lagged because it was all about door-knocking and handshaking, but lawn signs and bumper stickers won't do it anymore," says Lou Aronson, founder and CEO of Washington, D.C.-based mobile polling and social networking company Votifi. "And the sooner we start recognizing the power of data, the faster we can unlock our potential as a nation." Here's a look at what he and some fellow high-tech political junkies are up to. In the fall of 2008, presidential campaigns--and the accompanying robo-dials to land lines--were in full swing. Aronson, a lawyer and longtime political activist, realized that many mobile-savvy voters were avoiding those calls. Last year he launched Votifi, which uses a peer-to-peer network and surveys delivered via e-mail to raise political awareness by uniting people through issues they care about. Problem: Believe it or not, nearly as many people cast votes for the American Idol finals in May as voted in the 2008 presidential election. How can social media and polling be used to get disenfranchised citizens--especially Millennials, Hispanics and African-Americans--engaged in politics? Solution: Make it personal, and make it digital. 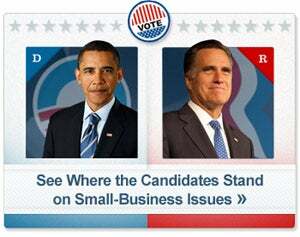 Votifi users create online profiles by answering multiple-choice questions on issues ranging from food to foreign politics. They can then build out a network to discuss issues with like-minded voters--or debate those with opposing viewpoints. For campaigns and organizations, Votifi surveys offer a glimpse into users' political identities over time, offering far greater detail than a simple split down party lines. The surveys can be answered through a browser or mobile app, which appeals to groups difficult to reach on land lines. Early success: Votifi has sent out roughly 1.8 million e-mail surveys and gotten a 65 percent completion rate. (Old-school robo-dials had an average 3 percent response rate.) The company, which has 5,600 members, claimed a finalist spot at the 2012 SXSW accelerator competition and completed major research campaigns for organizations like the 2012 Charlotte Democratic Convention. Tired of planning public local-government meetings attended solely by NIMBY windbags, Nick Bowden parlayed his experience as an urban-planning consultant into MindMixer, an incentivized online platform that aims to increase engagement in local and city politics. Problem: Civic leaders do not engage effectively with young voters, who demonstrate little interest in local issues. Community-minded citizens face bureaucracy and delays when attempting to deal with local governments. Solution: Focus on the people. MindMixer is a convenient forum for citizens to contribute ideas about what they want and need in their communities. Users sign up--crucially, with their real names--pick personal interests and locations, then can raise issues on the forum or respond to posts by elected officials, city departments and school districts. The best ideas earn points when they are "seconded"; these can be redeemed for prizes like lunch with the mayor of San Francisco or a birthday party at the local fire station. Civic leaders and organizations, meanwhile, get inside information to make more informed decisions. Everybody wins. In a typical scenario, an Omaha, Neb., citizen noticed that a crosswalk needed repainting. Rather than having to research which city department was responsible, submitting a request and hoping to get a response, he raised the issue on MindMixer. The post was pushed directly to the public works department, an employee followed up, and within two weeks the job was done. Early success: In just 15 months, the 17-person company has landed $2.2 million in funding and more than 200 clients, including the city of Los Angeles and the Republican National Committee. 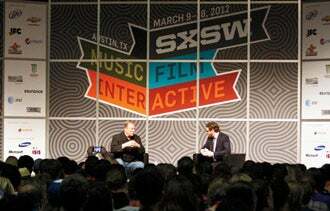 Jimmy Winter went to SXSW 2009 to promote his music company. But the social media analytics engine he'd built as a weekend side project got all the attention. In November 2011, he and Shannon Schlappi co-founded VoterTide, which uses the technology to help campaigns figure out who is talking about them and why. Problem: How can campaigns harness the endless amounts of data, news and opinions available on the web and use it to their advantage? Solution: Pinpoint the relevant stuff--in real time. Working on behalf of campaigns, advocacy groups, lobbying firms, news outlets and "anyone else with an interest in social data," VoterTide mines Twitter, Facebook, Reddit, blogs and news sites and displays top tweets and phrases, videos and other social media mentions of politicians and advocacy groups. A real-time "alert" function notifies a user when there's a noticeable spike in mentions, giving campaigns more time to strategize. Early success: VoterTide users following Newt Gingrich knew he was dropping out of the Republican presidential primary five minutes before The Washington Post broke the news. The Omaha, Neb., company has scored $500,000 in funding, gained a partner in tech veteran Gordon Whitten and has 12 employees, including a seasoned hire who worked for the George W. Bush and John McCain presidential campaigns.